Lewis County is named after Meriwether Lewis. As of 2017, the estimated population was 78,200. The county seat is at Chehalis, and its largest city is Centralia. 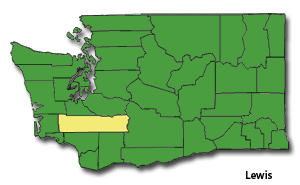 Lewis County is known for sharing many characteristics with eastern Washington instead of western Washington, where it is located, especially politically. 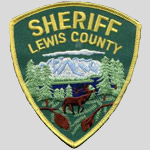 Lewis County was created on December 19, 1845 by the provisional government of Oregon Territory. According to the U.S. Census Bureau, the county has a total area of 2,436 square miles, of which, 2,408 square miles of it is land and 29 square miles of it (1.18%) is water. The population density is 28 per square mile.